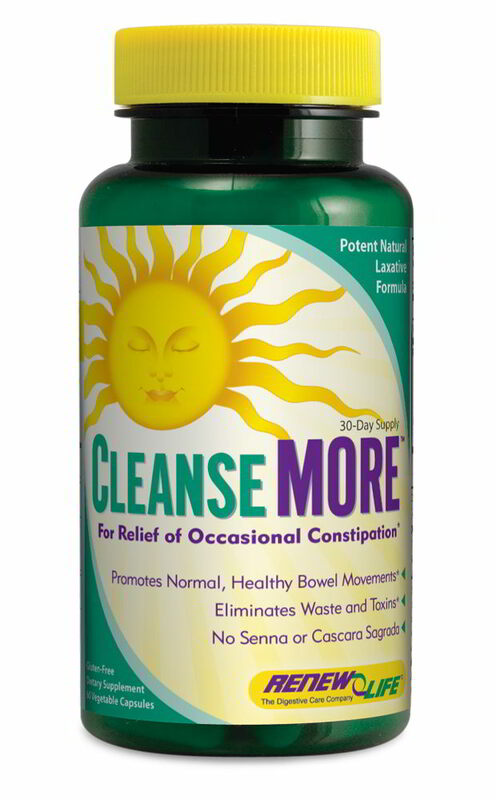 CleanseMORE is a natural laxative and overnight colon cleanse. The bowel cleansing formula is made with herbs and magnesium hydroxide to help relieve occasional constipation. Sometimes in day-to-day life, or even while taking an internal cleanse, people can experience difficult elimination. Natural health experts agree that at least one bowel movement daily is healthiest for the body. CleanseMORE is a natural solution for occasional constipation. This quality formula is a blend of herbs and magnesium that helps to gently stimulate bowel movements. The combination of ingredients in CleanseMORE is effective in promoting bowel movements in sluggish colons. Magnesium helps retain water in the bowel, which makes stools easier to pass. The perfect combination of cape aloe, rhubarb and triphala helps to stimulate bowel contractions and strengthen the bowel. Marshmallow and slippery elm help soothe and lubricate the bowel.